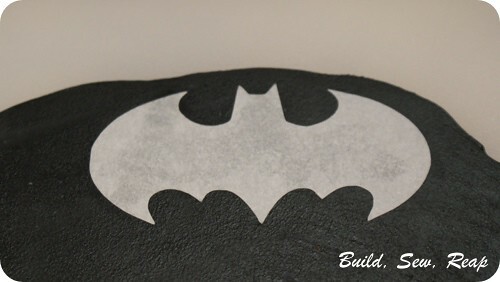 I really struggled with how to cut out the intricate designs of the spider, the Superman symbol as well as the bat. It seemed like I could probably wing it on the bat (har har har) but the other two just weren't going to look good unless they were just right. 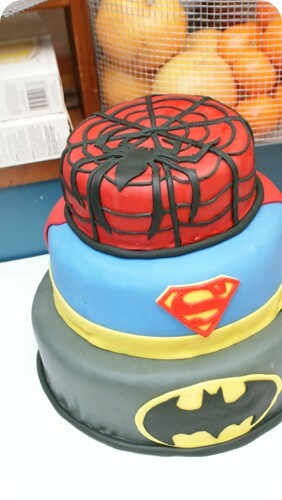 I tried several times to just eyeball the Superman "S" but the end product was awful. That's when it hit me, in the 11th hour - use the Silhouette to cut out stencils that I could press into my rolled fondant and cut around. In case you're more of a visual learner, here's a tutorial for you. *Note - I used my Silhouette cutter but if you don't have one, you could probably print out your design to the correct size on regular paper then cut that out with a craft knife before or possibly even while you're cutting the fondant. 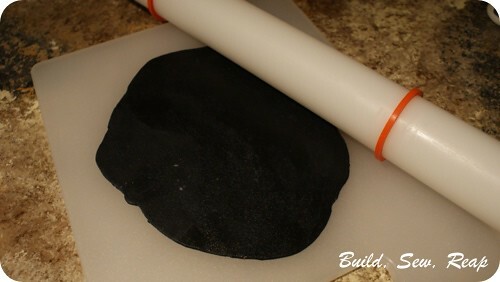 If you find that your knife is dragging or stretching the design, it might help to put your rolled fondant or moldable chocolate in the fridge or freezer for a few minutes. 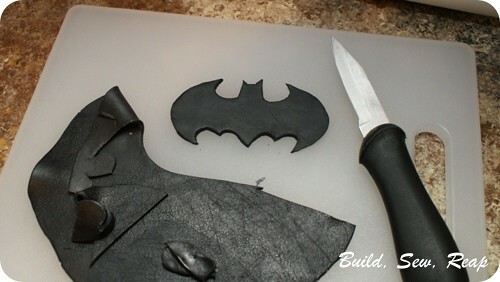 Also, keep in mind that you can make small adjustments after cutting since the material is very moldable. I was wondering how you did this! Brilliant! Love the wing it bat joke. Thanks Michelle! I wish I had thought of it much earlier in the process as I probably wasted an hour trying to cut the Superman "S" out without a stencil and each one was worse than the one before it. I already had my Silhouette out for the custom cape designs so I really kicked myself when it took so long to think of this. I used a craft knife that night because of the tight spaces in the S but, as you can see here, I was able to use a paring knife for the remake. BTW, my son was so excited when I pulled out the fresh cut chocolate bat last night for dessert.